On today’s show, we’re covering the very obscure (at least for the US market) Tatung Einstein and what Amstrad products we can find. 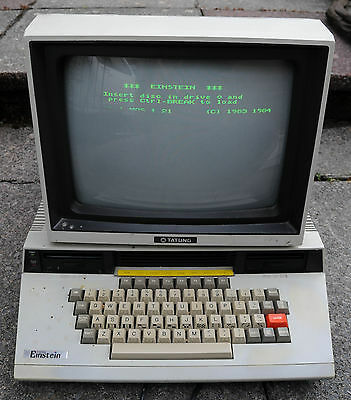 The Tatung Einstein was produced by Taiwanese corporation Tatung and designed in England in 1984. It was aimed primarily at small businesses. Amstrad is also both based in the UK and began selling computers in 1984 with the CPC line. They purchased Sinclair in 1986. A new chapter/episode of the Stan Veit’s History of Personal Computing audiobook podcast! eBay Episode 4 – Tatung Einstein and Amstrad was posted on Friday, December 11th, 2015 at 11:18 pm. This post is tagged and is filed under . You can follow the replies through the comments feed. Pings are closed but you can Leave a comment! A Blueberryware theme › 37 queries in 0.368 seconds.